BOMB Magazine has been publishing conversations between artists of all disciplines since 1981. BOMB's founders—New York City based artists and writers—created BOMB because they saw a disparity between the way artists talked about their work among themselves and the way critics described it. Today, BOMB is a multi-media publishing house that creates, disseminates, and preserves artist-generated content from interviews to artists’ essays to new literature. 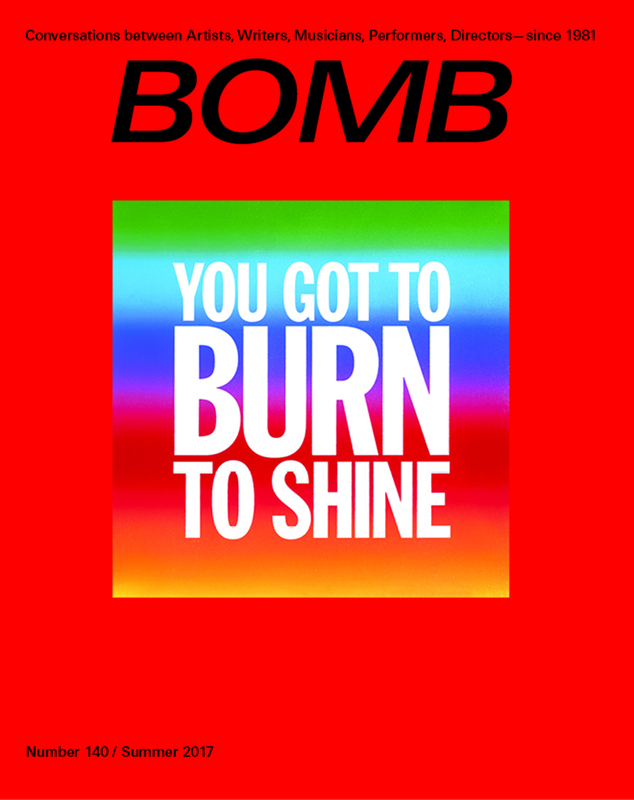 BOMB includes a quarterly print magazine, a daily online publication, and a digital archive of its previously published content from 1981 onward. BOMB Magazine is a print quarterly publishing in-depth interviews between artists alongside artists’ essays, literature, and portfolios.